This book, without which no household in Cumberland or Westmorland can be considered complete, is the result of years of experiment and experience - pack full of trusted recipes from local Cumbrians. 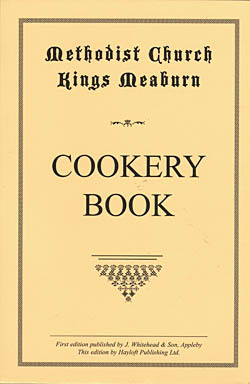 The first and second editions of this book were sold in aid of the Kings Meaburn new chapel building fund. Kings Meaburn Chapel was opened in 1932. Sales of this book are in aid of Appleby Grammar School's South Africa exchange, and future cultural exchanges organised by the school for the benefit of Appleby Grammar School students. Format : Paperback; 210 x 140mm. Illustrations : Black & white illustrations.